When police shoot and kill women who hold roses. Marking the fourth anniversary of the Egyptian revolution. When police shoot and kill women who hold roses. "This country is starting to hurt.. There is no warmth.. I hope that its dirt is spacious and the hug of its ground, is larger than its sky." 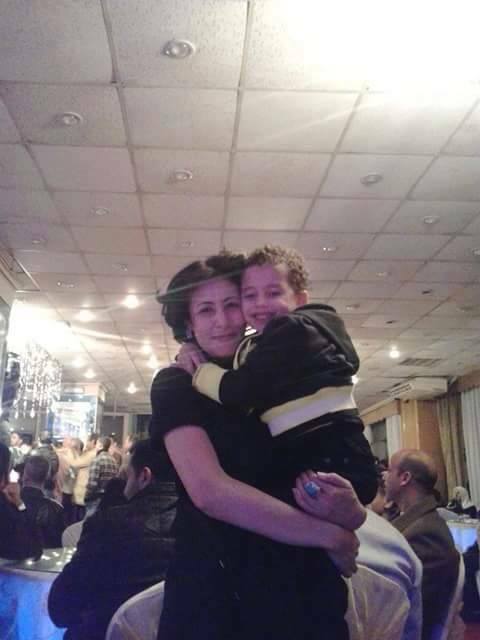 These are some of the last words leftists activist, mother of 6 year-old Belal and poet Shimaa Al-Sabbagh wrote on social media on January 14, only ten days before Egyptian police shot her dead, while marching with flowers to commemorate the fourth anniversary of the revolution. Al-Sabbagh's last moments and murder were captured in shocking images that rocked the consciousness of a nation, struggling to get its revolution on track. To the Egyptians who support the revolution, four years seems like four life-times. Each year more friends are gone, and more old corrupt criminals are released and return to political life. Four years have passed on the most noble revolution Egypt has ever witnessed, where thousands of its daughters and sons paid in advance for it, with their lives. Thousands injured. Tens of thousands more behind bars, including minors and students. Shimaa Al-Sabbagh was a poet and an optimist, according to her friends, she asked them not to lose hope, her smile and grace were powerful tools of disarmament. Her killers were men in uniform, some wore black masks to hide their identity. These uniformed masked men, carried big guns, small guns, tear gas cannons and the worst of intentions. Egypt has cancelled any celebrations commemorating the anniversary of the Revolution, because Former military man and current absolute ruler Abdel Fattah Al-Sisi, declared one week of national mourning following the death of King Abdullah of Saudi Arabia, a close ally to the Egyptian state who shared its hatred of the Arab Spring and freedom. The cancellation of celebrations seemed to follow the same plan, the one where Mubarak and his two sons, Alaa and Gamal, are now released from prison and cleared of most charges against them, including ordering the murder of protesters and corruption charges. The new Egyptian state is in fear, they say, of a rebirth of the revolution. A fear so dizzying, so blinding, that bullets and pellet shots and tear gas canisters, were flying randomly in the direction of running protesters. Hitting them mercilessly in the head, neck and back. The state, they say, is so scared, that it is shooting women in the head, who hold roses, from close range along with any and everyone who dares to march, to speak out, and to show opposition. The state is scared of the roses. On Friday, one day before Shimaa was murdered, Sondus Abu Bakr, a 17- year-old student marching in Alexandria was shot and killed by police. She, like Shimaa, was hit with pallet shots in the head and neck. Sondus was protesting after her aunt was killed by police during a march a few weeks prior to her death. In November 2013 a law criminalized protesting without police approval, was issued. The law created uproar among human rights defenders in Egypt, but the state remained put on arresting thousands of opposition protesters, ironically enough, including citizens who were protesting the law itself. Egyptian police on social media have been threatening to stop "petting protesters on the back", but really meant they will shoot to kill, no warning necessary. A few days before the violence targeted protesters, Gamal Eid, a human rights attorney in Egypt who founded the the Arab Network for Human Rights Information (ANHRI) in 2003 told local press recently that "The human rights situation in Egypt now is at its absolute worst in 30 years." And added that he doesn't believe it would stay the same "I expect the situation to improve in the future, not because the state will respect human rights, but because people will be more aware of their rights." Dr. Mohamed Al-Baradie, former head of the International Atomic Energy Agency wrote on Twitter: "we are seeing the ugliest in ourselves and losing the most precious amongst us, when will we realize that violence is not the answer and that a country based on respecting its citizens is the country we dream of." When will the police state in Egypt realize that no matter how many of us they kill, more will still come out, and no matter how much blood is spilled, more and more are volunteering for the front lines. The courage and commitment of Egyptians working for a better government continues to inspire us. Thank you for this post.